The Natchitoches Area Chamber of Commerce’s A+ Coalition is funding the participation of any of the 10 Natchitoches Parish Schools with 6, 7 and 8 grades involved with Mathcounts. Mathcounts is a middle school math competition program sponsored by the National Society of Professional Engineers (NPSE) (www.mathcounts.org). The A+ Coalition will provide $300 for each parish school that participates in the February 16, 2019 regional competition at Tioga Junior High School, an additional $200 for the highest scoring school from Natchitoches Parish at the regional competition, an additional $500 for any parish school that qualifies their team or an individual for the state competition and an additional $500 for any parish school that qualifies their team or an individual for the national competition. All funds will be provided as a technology grant to the participating schools. “This is our first year back after about three years, but I have a lot sixth graders interested in it. I’m excited to see what they have to offer,” stated Emalie Dunn, advisor to the Mathcounts club at NSU Middle Lab. The A+ Coalition is excited to help propel these bright young students towards their future success. To learn more about the A+ Coalition and how you can help, visit apluscoalition.com. The A+ Coalition is an initiative of the Natchitoches Area Chamber of Commerce, which helps foster a thriving community through transformative leadership, collaboration, and innovation. 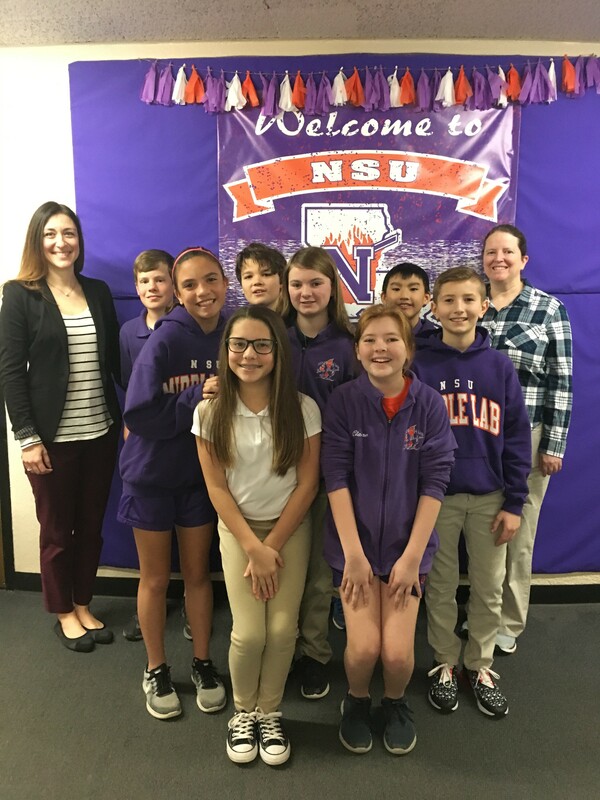 Students from Northwestern State University's Middle Lab School pictured are (back row) Laura Lyles (Chamber President), Noah O'Rourke, Jacob Hypes, Jiaqi Yi, Emalie Dunn (Teacher Sponsor), (middle row) Anna Hobart, Brynn Landry, Clarke Glenn, (front row) Finley Ocon, and Claire Perritt. Students from Magnet are pictured holding plaques from prior year competitions. Pictured from left to right, is (back row) Stephonie French (Principal), Issac Young, Diamond Smith, Wyatt Laning, Joshua Chesal, Calder Deford, and Zenda Sawyer (Teacher Sponsor), (middle row) Lilyasta Laning, Noah Martinez, Tahdeuz Tibbs, (front row) Eric O'Bannon, and Ethan Bumgardner.